Everyone has things they do regularly: the laundry, the shopping, the gym. If you're even the tiniest bit forgetful, then you might set reminders for these things on your calendar or to-do list. But some of the things we do often take more than one step to complete. That's when checklists can help. David Allen, the author of Getting Things Done, defines 'projects' as multi-step tasks. 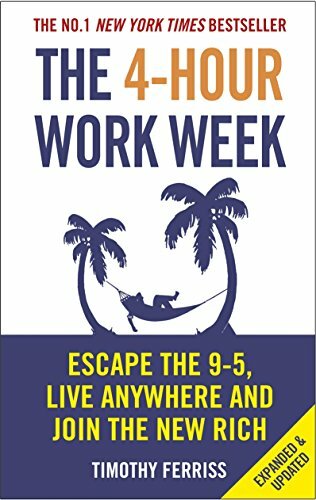 Projects are "all those things that need to get done within the next few weeks or months that require more than one action step to complete." But projects aren't the only things that have more than one step. Writing a blog post, doing my invoices, setting up a new client: these all involve lots of little to-dos. And they're the same to-dos every time. To make sure I do these things the same way every time, I use a checklist. I've been using them for years without thinking about it. 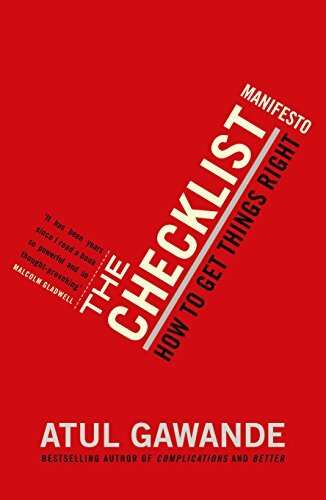 I only realised how much I depend on checklists when I read The Checklist Manifesto by Atul Gawande. This book tells the story of how a surgeon discovered checklists as a way to reduce surgical complications and deaths. En route, the author learns how checklists help us build skyscrapers, fly planes, and get Van Halen through their concerts without their lighting rig collapsing around them. To-do lists hold a list of actions that you need to take. Checklists are repeatable to-do lists. They're designed to be used over and over again. Large organisations might call their checklists 'processes'. They serve the same purpose: to make sure that tasks are always done the right way, in the right order, to get the best result for the business. Avoid mistakes. When there are 10-15 steps involved in doing something right (like when I publish a blog post), it's easy to miss a step out. And why waste the energy remembering these trivial steps? 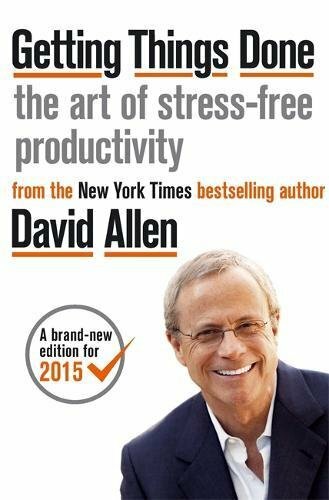 "The mind is for having ideas, not holding them," says David Allen. Save time. Often you can get things done quicker by doing the steps in the right order. Once you've worked out the fastest route, your checklist means you always do it that way. This has shaved at least an hour off the time it takes me to publish a post. Your whole team gets smarter. As people work out how to avoid problems or save time, they can update the checklist. Everyone learns from everyone else's mistakes. New team members get going faster without you needing to spend so much time explaining how to do things. Even if you're a one-person business now, you might not always be. When you do decide to bring in extra help, you might not have time to create loads of checklists. But without them, your new help won't know what to do. So create your lists now. Checklists are insurance. If only one person knows how to do something, what if they get a new job? Or they get sick? I once started a new job covering for a woman about to go on maternity leave. The baby decided to come early, before she'd finished writing my instructions. She was still sending me handover notes from the labour ward. It needs to be easy for your team to grab a fresh copy of the checklist and start ticking things off. If the tool is difficult to use, you might find your team won't use it. Start by looking at the project management or to do list tools you already use, and see if you can adapt them. For example, ToDoist Premium lets you create a new blank checklist from a text file. Asana lets you copy a task and all its subtasks to create a fresh checklist. You can create special template tasks, and copy them as you need to. Or you can set tasks to repeat at fixed intervals. This works well for GTD fans, with their daily and weekly reviews. If you need something more sophisticated, try Process Street. It's dedicated to checklists. You can set up detailed instructions for each step, including images and video. Colleagues can work together on completing a task list using the commenting feature. You can even embed email templates into the checklist. This makes it super easy for people to send the messages they need to move the process along. These extra features make Process Street perfect for more complex activities like briefing a new employee. There are lots of example checklists to help you get started. And of course, there's pen and paper. It's easy to create a checklist and print out loads of copies so you can just grab one when you need it. My local bike shop uses printed checklists to book bikes in for a service. It works better for them than trying to use a laptop with oily hands. Check out the first webinar in the "Profit Pillars" course from Unemployable: Smart Systems and Processes for Freelancers. Top tip from this session: don't make your checklists so long that no one can be bothered to use them. Some of the links in the post above are "affiliate links." This means if you click on the link and buy the item, I will receive an affiliate commission. Regardless, I only recommend products or services I use myself and believe will add value to my readers.